NFL Playoffs – who’s going to make it to the Conference Finals? Home NFL Betting Picks NFL Playoffs – who’s going to make it to the Conference Finals? 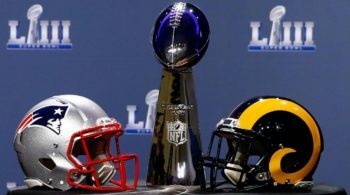 It’s the Divisional round in the NFL playoffs, where the two top-seeded teams from each Conference now make their eagerly-awaited appearance. The four teams that survived Wild Card Weekend (Colts, Chargers, Cowboys, Eagles) are therefore now joined by the Chiefs, Patriots, Rams, and Saints. Great offense might get you to the postseason, but outstanding defense wins you Super Bowls – or so they say, whoever they are. With these great defenses out of the way the field has a more open look to it, which may play to the strengths of the great entertainers – notably New Orleans, Kansas City, and the Rams. Saints do offer plenty to be fair on the defensive side of the ball too, which is one persuasive reason that they trade as pretty much everyone’s favourites (5/2 available with Betfred) to win the big one on Feb 3rd. The big boys have home-field advantage of course, but this is knockout football and anything can happen. Ask poor Bears’ kicker Cody Parkey. The width of an upright means he’ll enter postseason folklore for all the wrong reasons. If this match was happening a few months ago the first question would be along the lines of ‘how many will the Chiefs win by?’ Since then the Colts have prospered and the Chiefs famed offense has been tamed just a little – while their defense has remained far more porous than is ideal. But what an offense when the wheels are fully oiled. Patrick Mahomes at QB – many are touting him for the League MVP. Tyreek Hill – diminutive but quicksilver-fast receiver. Travis Kelce – towering, battle-hardened, 4-time Pro Bowl tight end. Sensational talents. The Colts have QB Andrew Luck guiding their offense, and he’s been a top performer for several years since his much-anticipated debut as the No1 draft pick of his year (2012). This is an absolutely terrific match-up, and we can’t wait. The recommendation is ‘over’ 56.5, @ 20/23, with the eventual outcome perhaps hinging on whether Kansas’ A-game offense shows up. If they turn up and then some, it might not matter what Indy can do with the ball themselves, because the Chiefs will be out of sight. We’re hoping for a points explosion! Stop Press – Chiefs blasted out of the blocks and indeed were soon out of sight. Early in-play trading on the total was 60.5, but the Kansas City ‘D’ stepped up, and Indy’s offense was for the most part becalmed, so no points bonanza. An easy win for KC, 31-13. The winners of Chargers @ Pats must now go to Arrowhead next weekend! Rams illuminated the early part of the season, rather like the Chiefs, before showing they were human after all here and there. Dallas have done well to reach this point one feels, and despite their own potent offensive weapons (notably Prescott, Elliott), we’re happy to leave this one to the Rams. Running back Todd Gurley is a force of nature, and could be a big hit in our Double Delight First Touchdown scorer market. It got a bit tight regarding the spread due to a late Dallas score, but in truth this one was rarely in the slightest doubt, and LA covered for us, winning by 30-22. They’ll now take on the winners of Eagles @ Saints later, for a place as the NFC’s representative in Super Bowl 53! Chargers have one of the best defenses left in the competition. New England are Super Bowl, postseason royalty. What a fascinating match-up we have in store at Foxboro. The Pats have not purred throughout the regular play as so often they have in the past, and this is no foregone conclusion. Chargers are ace on the road, and will have plenty to say during this match. The weather could conceivably play a part – with a cold afternoon virtually assured and snow a distinct possibility at this time of the year. We envisage a very tight struggle which could go either way, so it’s total points betting for us – under 47.5, @ 5/6. Philly come to the Superdome fresh from an unlikely but gutsy win in Chicago. Saints are fresh and rested, with Drew Brees ready to wreak havoc. It’s not a crazy spread, and we think Saints can cover. Also, I’m not entirely certain how Philly’s offense will fare against the Super Bowl favourites, so the total might want a bit of looking at. With neck firmly stuck out, it’s Saints -8.5 @ 20/21, and under the total of 52.5 @ 10/11.